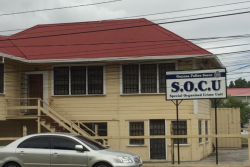 Constitutional reform lobby group RISE Guyana yesterday called on the Cabinet inclusive of the President to resign saying that refusal to do so in light of the passage of a no-confidence motion against the APNU+AFC government, amounts to a violation of the Constitution. It also urged the government to avoid any delay in seeking resolution of all the issues which the government has cited in questioning the validity of the vote. 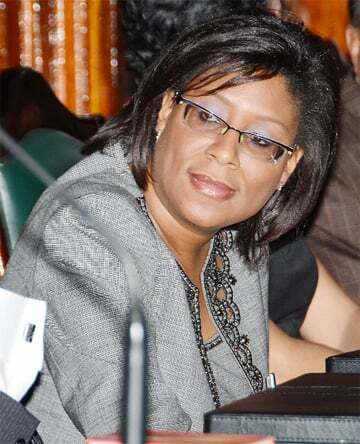 On December 21, former government MP Charrandass Persaud defected and voted for an opposition PPP/C-sponsored no-confidence motion against the APNU+ AFC government, tipping the scales 33-32 to carry the motion. While the government initially accepted that the motion was carried, it has since questioned the validity of the vote. On Friday private citizen Compton Herbert Reid filed an action in the High Court questioning the validity of the vote and seeking to have it set aside. January 15 has been fixed to hear the case. 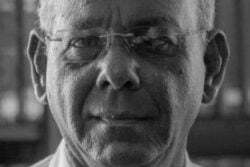 In a statement yesterday, signed by its chairman, Marcel Gaskin, RISE said that it has observed with growing unease, the deeply fractious political environment in which Guyanese find themselves, as the current political climate engenders even deeper divisions amongst the majority of the people. “It is in the context of its concern for greater unity amongst all Guyanese, clarity of purpose as to the future of our nation and its people and our deeply felt belief regarding adherence to democratic norms that we call on the Coalition government to abide by the provisions of the Constitu-tion specifically Article 106(6) which requires that the ‘Cabinet including the President shall resign if the Government is defeated by the vote of the majority of all elected members of the National Assembly on a vote of confidence’,” the statement said. It pointed out that while Article 106(7) permits the Government to remain in office and hold elections within three months of its defeat, Article 106(6) is clear that the Cabinet, including the President must resign. “The no-confidence motion was carried. Cabinet must resign but has refused to do so,” the statement said. According to RISE, the justification for this refusal has been presented on three premises namely that the majority formula required 34 rather than 33 votes; that the vote cast by Persaud was void since he was unqualified to vote being a dual citizen; and that Persaud’s vote was invalid since it was cast against the interest of the list which he represents. “If the arguments are incorrect, Cabinet’s act of defiance amounts to a violation of the Constitution,” RISE contended. “A proceeding has now been filed. But that proceeding appears to ask for a determination of only one of the three issues, the effect of dual citizenship of Mr Persaud. The judiciary cannot pronounce definitively on the three arguments raised by Government if only one of the arguments is raised for its consideration in the proceeding. RISE calls on the Government to avoid any delay in advancing the resolution of all the issues raised so that the country can learn quickly and for its own benefit without room for ambiguity or misinterpretation what the Government and Cabinet are obligated to do and whether we must have elections in the next 75 days,” the statement said.